With our unique construction methods and efficient products from Norway, we appeal to discerning clients who want an elegant and an integrated solution in their home. Hence we regularly work with Architechts, Designers, quality Builders from an early stage and provide full support and advise with design and construction. OzCoolroooms & Winerooms offers full warranty on all its products and delivers all products from its base in Perth. Its showroom is at Home Base, 55 Salvado Rd, Subiaco which is open 7 days a week and the full range of coolrooms are on display. 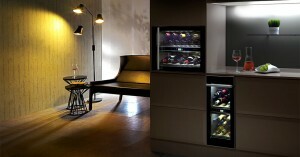 OzCoolroooms & Winerooms celebrates 25 years at Home Base. We are proud of our association with Norway where all our products come from. We are exclusive distributors and service agents of two of the leading suppliers of coolrooms & winerooms in Europe – Norcool and Thermocold. Norcool, based in Norway is a leading manufacturer and supplier of Coolrooms, Corner Fridges, Fridge Drawers, Wine Cabinets and Wine Rooms. It has been trading since 1978 and is now a brand within the Frigoglass group which itself has operations in 19 countries across 5 continents. Thermocold is also based in Norway and has a 30 year reputation for building efficient cooling units, coolrooms and winerooms for the Scandinavian market. 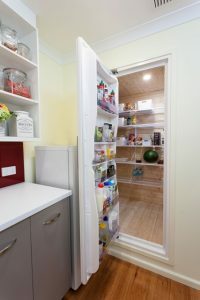 Their flexibility and construction methods allows them to make custom size coolrooms and winerooms which are pre built for easy installation.